There’s something about London style that is just so easy peasy. Sure, you still get the spiffed souls on a red carpet or royal occasion, but for the most part, it’s a city that doesn’t take itself so seriously when it comes to getting dressed. Style is just an inherent part of the city’s fabric – whether you are walking down Carnaby, Covent Garden or any High Street. Londoners just have a nonchalance about their sartorial choices. I saw some perfect examples of this easy London style on the BAFTA red carpet last night. My favourite look of the night was on TV and radio personality, Edith Bowman. I spotted her Heidi-esque braided locks from above in a TV shot, while she was interviewing someone more famous and not as well dressed. How daring to wear that length on a red carpet and without jewels! It was tailored just so, the hair, eyes and heels were perfection, and that sleeve-length, so elegant. Lady on Red: TV and radio presenter, Edith Bowman in an Amelia Wickstead dress. Actually, more than one woman didn’t have to go to extraordinary lengths to look great. Bonnie Wright matched her frock to her locks. Bonnie Wright in Clements Rebeiro. Speaking of locks, do you notice how un-fussed they are at London premieres? Tousled by the stormy weather or just left to their natural devices? My guess is the latter. 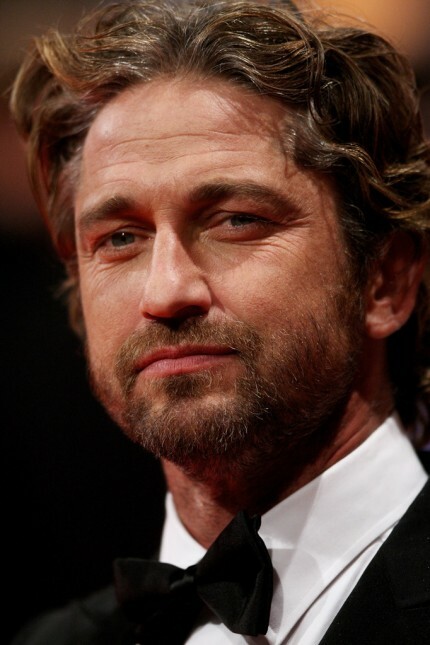 Gerard Butler, au naturel at the BAFTAs. Free flowing: Gemma Arterton lets her hair down. There was no shortage of great designers on show – but if the dress was the focus, the makeup or hair didn’t compete. Rosamund Pike in Sarah Burton for Alexander McQueen. Who can be bothered to fuss over all of it, anyway? Rosamund Pike certainly didn’t have to. She wore one of Sarah Burton’s signature dresses from the SS11 Alexander McQueen collection. Easy, breezy, beautiful. Cover girl. And speaking of easy, breezy – BBC presenter Claudia Winkleman shrugged off the excess and went for mass appeal – in Topshop! Top marks for ease on the red carpet: Claudia Winkleman in Topshop. I’ve taken notes in case there are any London red carpet walks in my future. Images courtesy of BAFTA, Getty and AFP. Bonnie Wright –> Ginny from Harry Potter — OMG she looks gorgeous, what a difference!